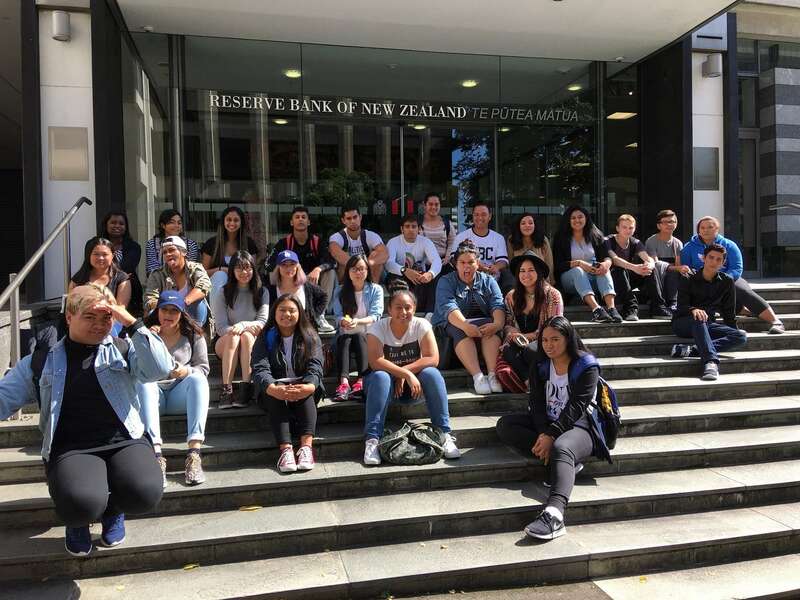 On March 21st, the Year 13 Accounting and Economics students travelled to Wellington to expand their present comprehensive knowledge by visiting the Reserve Bank of New Zealand and the Beehive. 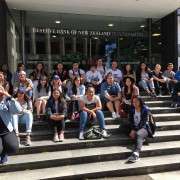 When we got off the plane, shuttles came up and took us straight to the Reserve Bank (RBNZ). 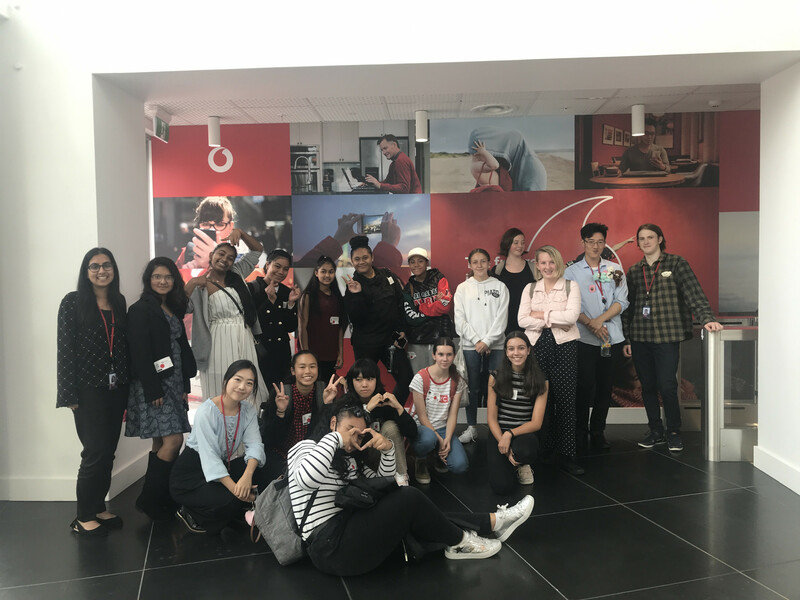 Here we learnt about its role in managing monetary policy to maintain price stability, promoting the maintenance of a sound financial system and controlling the OCR (Official Cash Rate) to control inflation rates (but mostly they are known for supplying New Zealand with its banknotes and coins). The RBNZ’s vision is to promote a sound, dynamic and stable financial system in New Zealand and it works towards this goal by having efficient payment systems, meeting the currency needs of the public and providing effective support services to the bank. We were then shown the evolution of money through priceless artefacts that the Reserve Bank has kept from nearly a century ago. But what had caught the hearts and minds of the students was the MONIAC. The MONIAC (monetary national income analogue computer) was created by New Zealander Bill Phillips and is approximately 2m high, 1.2m wide and almost 1m deep. It consists of a series of clear plastic tanks and pipes fastened to a wooden board. Each tank represents some aspect of the national economy and the flow of money around the economy was illustrated by the coloured water. A demonstration of how this machine worked intrigued and fascinated us. 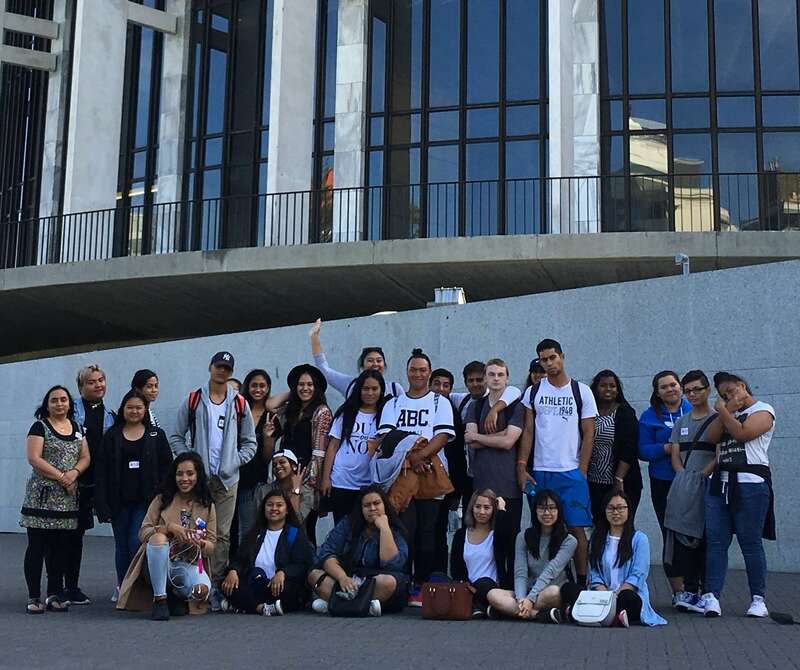 After a well-deserved break, we visited Parliament House and the Beehive. 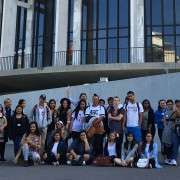 We were taken on an indepth tour which showed us where all the MPs gather for their caucus meetings and parliamentary debates. We found out about the history, architecture, refurbishment and restoration of the parliament buildings and most importantly the strict rules and regulations that are enforced in the Beehive. This day trip to Wellington was very educational and a unique experience. We now understand better the role that RBNZ plays as the central bank controlling and maintaining the New Zealand financial system. Both RBNZ and relevant parties associated with parliament contribute to a large proportion of our wonderful country’s financial state of affairs.